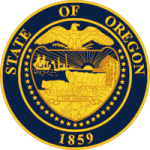 The division of child support in Oregon provides an online calculator for parents to access and compute for child support. It helps them to acquire information regarding an estimate the court will mention once the case is decided. The online calculator is accessible through their website and adheres to the guidelines set on child support within the state. Step 2: Enter the figures in the fields as required and then click continue to compute for the child support obligation.